Find suggestions for preparing your student for tests and other forms of assessment. by Pearson Education Development Group. The words "assessment" and "testing" are often enough to send goose bumps up the arms of many students and teachers. By learning a few assessment strategies, however, you can help your students through even the most anxious moments and help them score higher in the process. Teacher observes students’ performance during specific activities. Students revise and refine their work before choosing to save it in portfolios. Testing usually has a time limit; students have little opportunity to revise. Observations and portfolios are often called "performance" or "authentic" assessment. Proponents of these assessment types believe these tools are most valuable because they not only test students’ ability to recall material, but also provide information about how students use that knowledge. The proponents point out that performance-based assessment more accurately evaluates higher-order thinking skills, such as analysis, synthesis, interpretation and evaluation. Today’s educators know that tests, especially standardized tests, are being used more than ever to validate students’ learning. In many cases these tests also evaluate the teachers themselves. This is especially true now that state and national standards are so strongly embraced. And, indeed, standardized tests are subjected to rigorous screenings to ensure validity and reliability. In addition, they do facilitate comparisons among students and regions. Before students read a passage, encourage them to read the questions that follow. Doing this will help them focus on important parts of the passage. Then as they read, they can lightly underline content that might be useful in answering the questions. Encourage students to find support for their answers in the passage, as well as from any relevant experiences of their own. When working through material with students, ask them for the same information in a variety of ways. Examples: What do you think will happen? What do you think the result will be? Too often, students have difficulty answering questions because they are unfamiliar with a test’s wording. After reading a passage, students can write their own questions to share with one another. This activity can help students better understand the relationship between questions and accompanying passages. Try this activity with cloze-format sentences, as well. Provide students with many opportunities to make estimations. 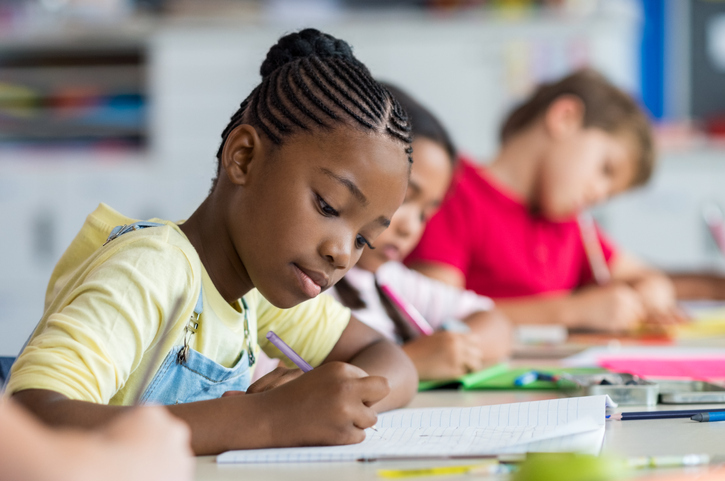 Practicing estimation can help students quickly evaluate their answers to mathematical questions on standardized tests. Have students create their own word problems using data other than those in their math lessons. For example, you might have them draw on mathematical information they find in a current-events article, a weather report, or a social studies assignment. This activity can not only help students transfer skills they learned in math to other content areas but also help them approach word problems with more confidence. As students take a test, encourage them to circle or jot down the numbers of the items they are unsure of. When they’re finished with the test, encourage them to go back over just the questions they circled or noted. Too often, students don’t actually go back and check their work because they’re tired and just can’t face "retaking" the whole test. After a test, discuss as a group why answers are correct or incorrect. Bubble answer sheets have come to be associated with standardized tests and this association can create fear and uneasiness in some students. To help students overcome this negative association, use the bubbles for activities other than tests. For example, each morning attach a class list on the bulletin board. Next to each name on the list include one or more bubbles. Have students fill in the bubbles to indicate their attendance or choice of lunch. Remember: There is a difference between test practice and test preparation. Test practice is simply drill based on previous tests. Test preparation provides students with strategies that will enable them to focus on content and not become frustrated with unfamiliar formats and situations. These strategies can help your students improve their performance on tests and their comfort level with assessment in general. Try them and see which ones work best for you and your students.